We are working on a google drive that we can share with all summit participants, so stay tuned for that! international and domestic peace builders. Amidst the daunting challenges humanity is facing on the local, national, and global levels, it is time to come together and strengthen our capacity to be the change we wish to see in the world. Join us this spring for an unprecedented gathering of global and local visionaries, peacebuilders, and changemakers to share hope and inspiration, best practices, and strengthen community. Together, we can look to the rivers of hope, rather than the fires of destruction, on the local and global landscapes of today. How perfect that just as the Euphrates River flowed peacefully through the war zones of Iraq, the Sacramento River, quietly, yet powerfully, continued to flow undisturbed amidst the flames. The River of Hope Summit/Gala were featured on EnjoyMag! Read below! “It’s the first time we’re all going to be all together since 2011,” Wilder says of the River of Hope Euphrates Summit which will be held March 27-29 at the McConnell Foundation’s Lema Ranch. The Euphrates Institute engages more than 30 chapters in 15 countries in grassroots peace building, and will host members from as far away as Democratic Republic of Congo, India, Pakistan, Cote d'Ivoire, Liberia and Cameroon. “A lot of these folks who are coming have never left their home country,” says Wilder, noting that five have received scholarships to travel to Redding. “We’ve only been connecting online.” The summit will be an opportunity for “more of the outward work and processing.” Summit workshops include peace-building and social change, dialog and listening training, story-sharing and community building. Elesse Bafandjo, a 2019 Euphrates Institute Honoree from Democratic Republic of Congo, has been bridging divides between albinos and non-albinos, Christians and Muslims, and the hearing and deaf. 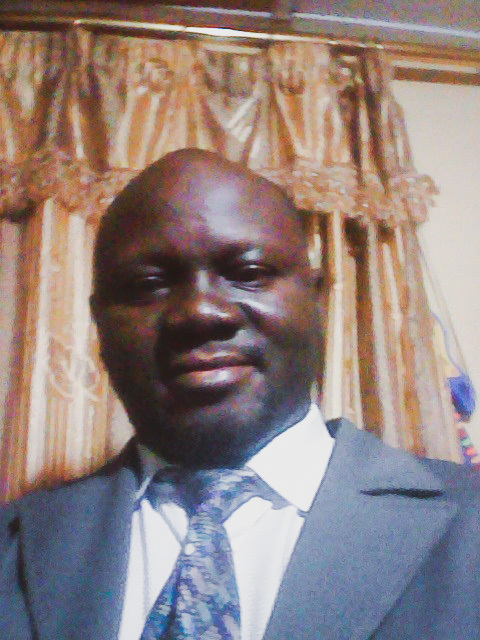 Victor Garpulee, a school teacher, will share his experience facilitating 15 youth-led chapters across Liberia. Sohini Jana of the Euphrates-Kolkata chapter will share her work with interfaith dialog across South Asia, while James Offuh of Cote d’Ivoire will share his experience developing the first mediation and conflict transformation training center in Abidjan. Fuhbang Emmanuel Tanifumhas been invited to speak to his peace building work in Cameroon. Rounding out the summit will be the River of Hope Gala at the Sheraton Hotel on March 29. The public is invited to meet the summit attendees and hear from featured speaker Nipun Mehta, the 2019 Euphrates Visionary of the Year. Mehta is the founder of ServiceSpace, an incubator of projects that work at the intersection of volunteerism, technology and the gift-economy. “I want to live simply, love purely and give fearlessly,” writes Mehta on his website. The gala will also include dinner, choirs and global music. What the community says about Euphrates…. — Chris and Erin Resner, city council member and owners of Dutch Bros. The Euphrates Institute Summit and Gala are being made possible by our amazing sponsors. If you want to become a sponsor, click here.